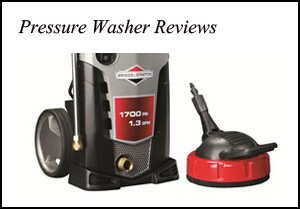 There is no deficiency of durable and high quality vacuum cleaners in the market today. And so sometimes it becomes hard to decide which vacuum cleaners to purchase. But there are still some vacuum cleaners that distinguish themselves from other because of their high-tech features, smooth performance and elegant design. EBO 9806AM Felix 1 Premium Ice Blue Upright Vacuum can be included in this remarkable class of vacuum cleaners. There are a lot of notable aspects and remarkable features that SEBO 9806AM can boast of. These features present a very balanced blend of smooth performance and high-tech capabilities. For instance, the suction hose of SEBO 9806AM has additional tools to go along with it. These tools include 9 foot extension hose that has been designed to make its reach possible on the stairs and under furniture. SEBO 9806AM has cleaning capabilities that can work on just about any kind of floor. Other than being able to adjust the power of suction, you can also adjust the height of the brush according to the specific requirements. In cast of an obstruction jamming the efficient performance of the brush, the light indicators on the vacuum let you know about it. You can shut off the brush if they are not required, which usually happens while vacuuming on the bare floors. Besides, removing and cleaning the brush is also very simple and easy process and does not require any kind of additional tools. In cast the bristles of the brush are worn out or require replacement, the light indicators start blinking. There are various onboard tools available with SEBO 9806AM that significantly enhance the versatility of the machine. These tools include the pet tool which is designed to remove any kind of pet hair and fur from carpets and floors, crevice tools for vacuuming in narrow spaces, upholstery tool and the suction nozzle. These tools can be attached with the power head of the machine. Power head can also be separately purchased. There is also 31-foot long cord along with the machine which facilitates vacuuming without any interruption. You can plug in at some central location in the home and vacuum around without bothering to unplug at regular intervals. We all know that can be very annoying. The exhaust filter with SEBO 9806AM is also a class in its own right. This filter, other than providing smooth and reliable filtering performance, also suppresses the motor noise. This filter results in significantly lower noise level of the machine compared to most other vacuum cleaners. Then we also have the pre-motor filters which keep the motor cool and result in increased life of the machine. SEBO 9806AM is a machine that provides guaranteed performance at a cost which is not very high. Besides, it comes with a five year manufacturer warranty which makes it even more worth your while. If you are ready to spend some buck for a vacuum cleaner that is fitted with all the features and tools required for a reliable and comfortable performance, SEBO 9806AM is a device you should certainly check out.